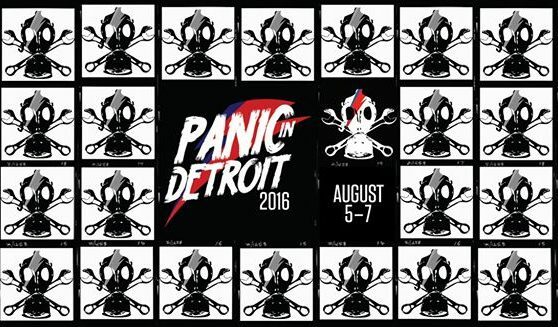 The Motor City Riot cordially invites you to our THIRD moped rally, taking place this year from August 5 to 7, 2016. Registration is $10. You can register online in advance here: http://manikor.com/mcr2016/ Registration includes a rally pack, meals on Saturday, a rally t-shirt, some free booze, and specials at the Saturday night party. You must register to ride in the rally and to be able to win raffle items. No exceptions. Check-in / register at the Marble Bar on Friday, or before the Saturday ride at the ONYC. There will be a chase vehicle to pick up all breakdowns along the route. Average top speed of the ride will be @ 35mph, and Detroit has potholes here and there, so plan accordingly! Please bring and wear a helmet (at the very least) and other protective gear if you plan on riding. In addition to other great stuff (gift certificates, parts, swag, etc. ), we will be raffling off a super rare and custom MOPED at the Saturday night party. Raffle tickets will be available throughout the weekend and will cost $5.00 a piece. You do not have to be present to win, but you must put your tickets in for the items you want at the Saturday night party. Detroit is a city, so no free camping anywhere. However, if you need a place to stay close by to the rally here are some suggestions. This is the cheapest option. And a rad place to stay. Double/triple/quadruple up rooms with your buds, and it is way cheap. This place is getting better and better. No more vending machine underwear, though. Worth a shot? We live here, so we have no idea if they are cool or not. If you want to get real fancy. 2:00 — 9:00 PM: Registration at the Marble Bar. 9:00 PM: Opening Ceremonies at the Marble Bar. 9:15 – 11:00 PM: Night ride. @ 1:00 PM: Long ride leaves from the ONYC. @ 7:00 PM – @ 11:00 PM: Rally party + raffle at El Club. @ 11-00 PM – ??? : A surprise! Sunday (Day Ride): Beach ride will leave from the ONYC around Noon. Any questions, please ask here or DM a member. Also check out other Entertainment Events in Detroit, Parties in Detroit.